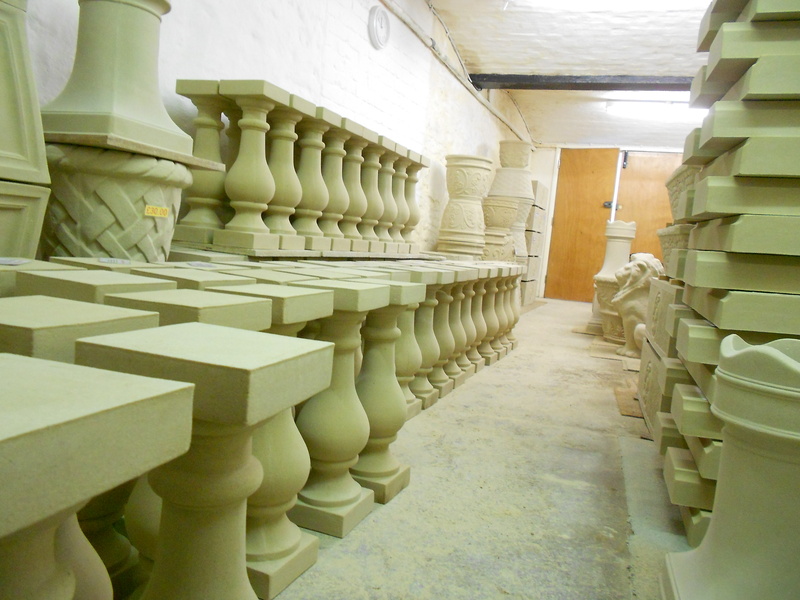 UK Made – Cast Stone Planters. OPEN MONDAY TO SATURDAY 8.00AM TO 4.00PM. 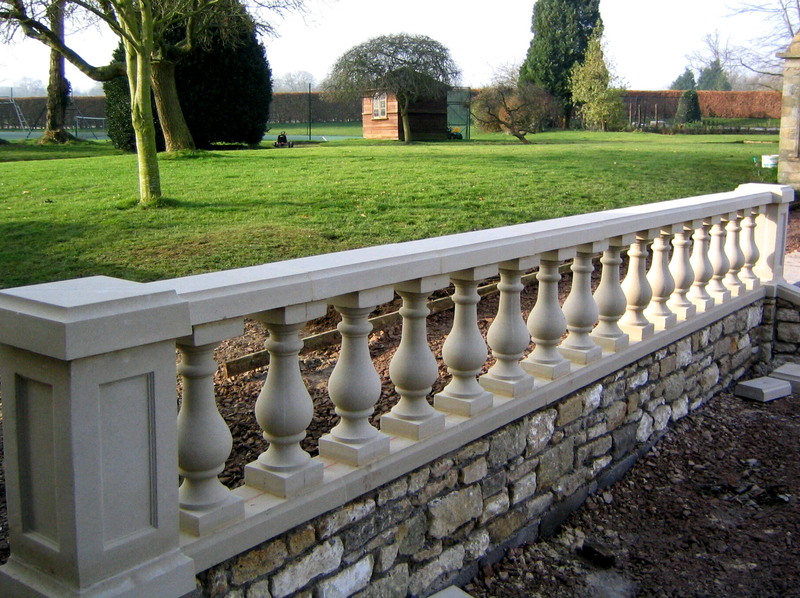 Garden Stoneware & Cast Stone Balustrade Made in The UK. SHEPTON CLASSIC STONE FACEBOOK PAGE. CLICK HERE FOR THE 2019 PRICE LIST & PICTURE CATALOGUE PAGE. 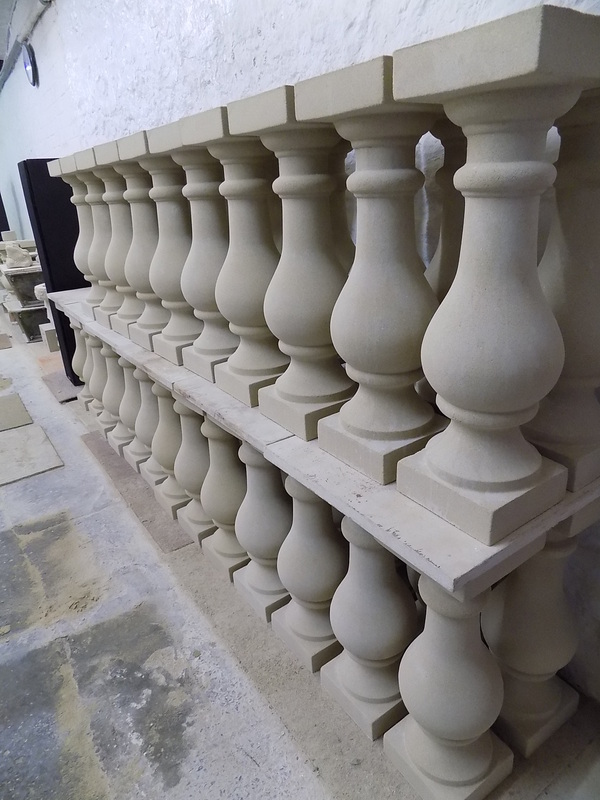 HANDMADE CAST STONE BALUSTERS – £22 EACH. HANDMADE CAST STONE RAILS – £14 EACH. BALUSTRADE PIERS – £60 EACH. 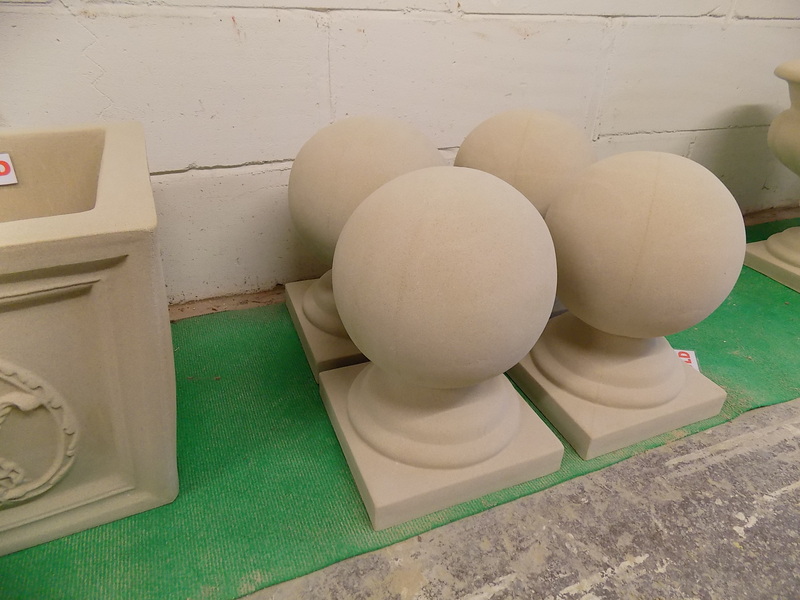 Shepton Classic Stone has been producing stone garden ornaments (garden stoneware) since 2004 when it was set up by Morgan Blight with a view to producing high quality stone garden products, but not at the sky high prices normally seen at other cast stone manufacturers. 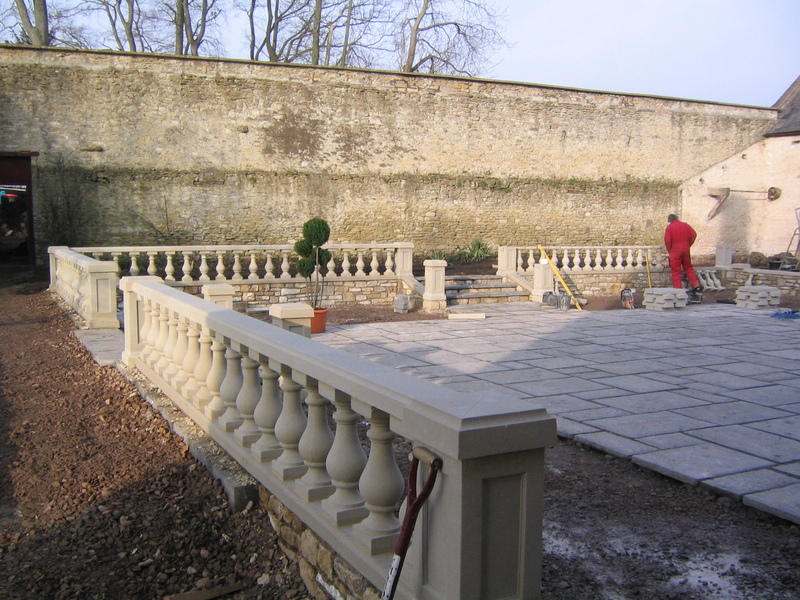 Now, 14 years later, we have built a reputation throughout the UK for making a wide range of high quality, decorative, dry-cast stone garden products. 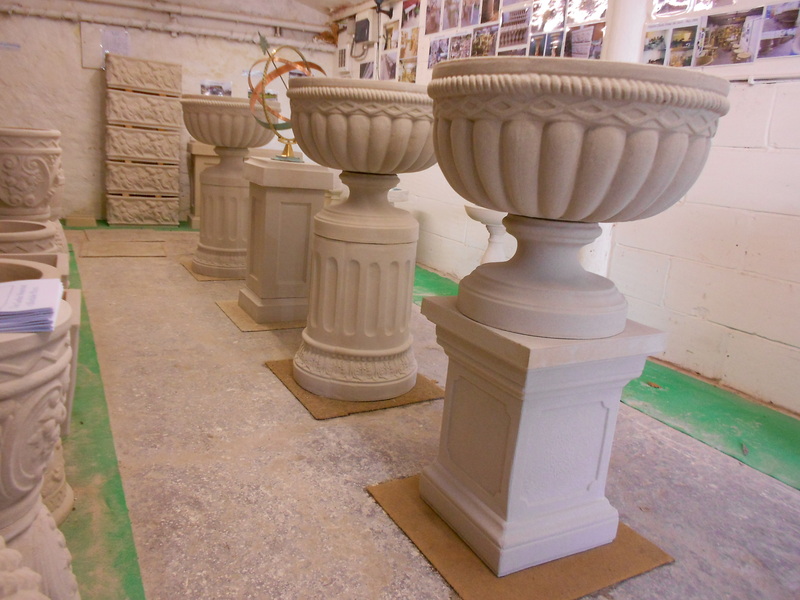 Although Shepton Classic Stone is best known for making competitively priced classic stone balustrade, we are also known for the production of many other stone garden products, such as a variety of stone garden planters in the form of urns, tubs and trough planters, along with many other items, including bird baths, sundials, plinths, pedestals, stone seats and more. All of the stone garden products that are made at Shepton Classic Stone are made from dry-cast stone, and not made using concrete. Dry-cast stone is the traditional way to make cast stone. The idea is that it should look as if it has been carved from solid natural stone. Dry-cast stone is often called, reconstructed, reconstituted or precast stone. Making concrete is a completely different method, and does not have the same quality look about it. 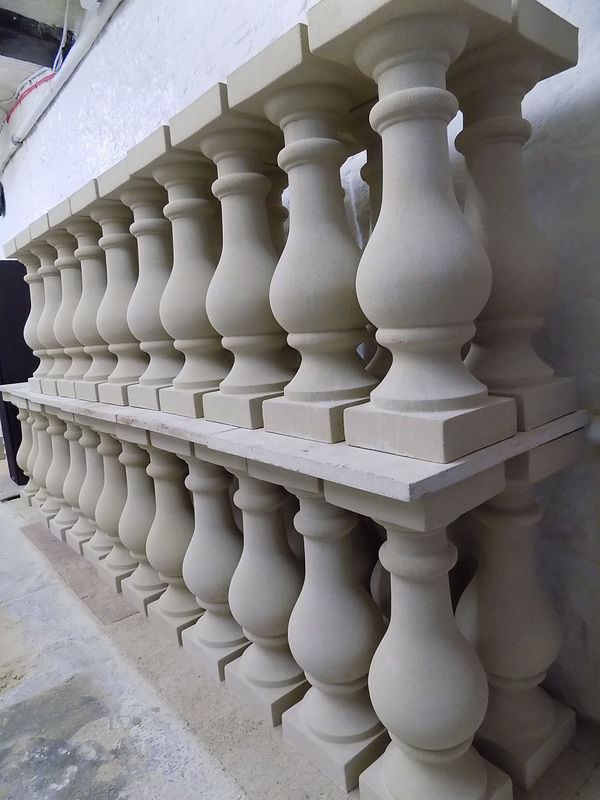 Over the years stone balustrade seems to have become more and more popular, so more of our time has been turned over to making balustrade, which in turn has made Shepton Classic Stone better known for producing stone balustrade than any other cast stone product. Having said that, all of our other garden stoneware is still available, although more items are now made to order, rather than always in stock. 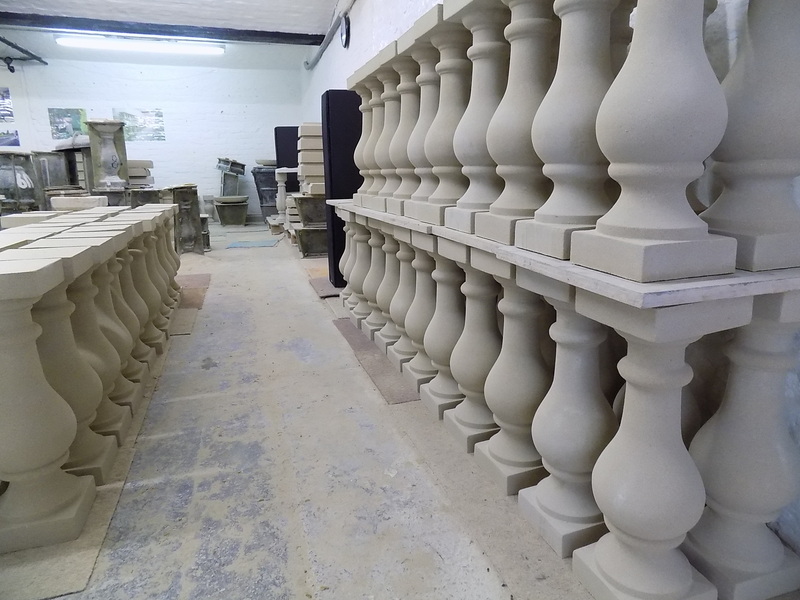 At the end of the day, Shepton Classic Stone produces whatever products are in demand, and at the moment stone balustrade is our main seller. 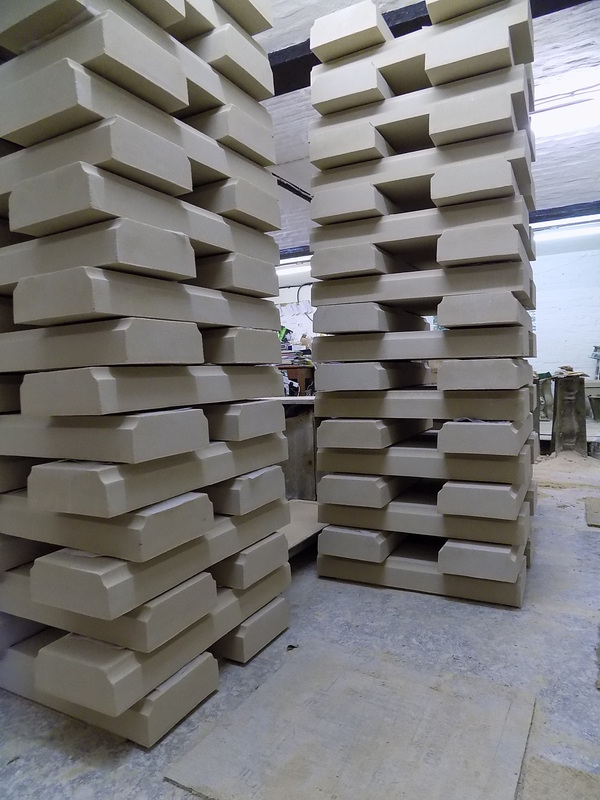 Due to the increasing demand for our dry-cast stone products at present our stock is lower than it normally would be. Call 01749 347774 to see if an item of interest is in stock before setting off, if you are coming a long distance. MANY OF OUR PRODUCTS ARE NOW MADE TO ORDER. 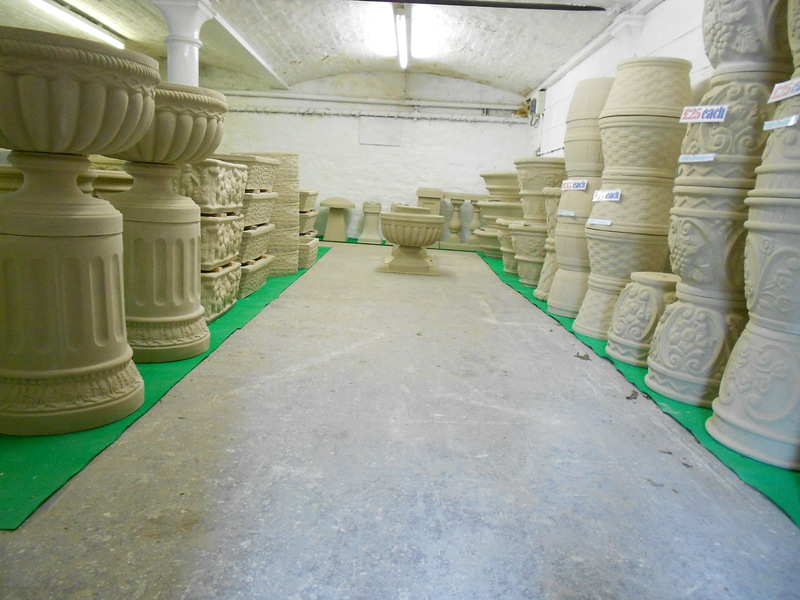 The Many Cast Stone Items Manufactured at Shepton Classic Stone. 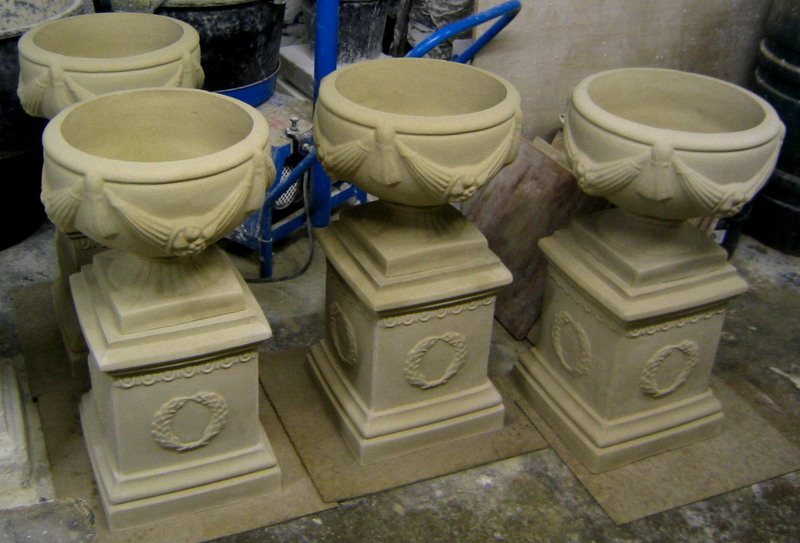 The majority of the items that we produce at Shepton Classic Stone are various types and styles of stone garden planters, such as stone tub planters, stone trough planters and classic urn planters. 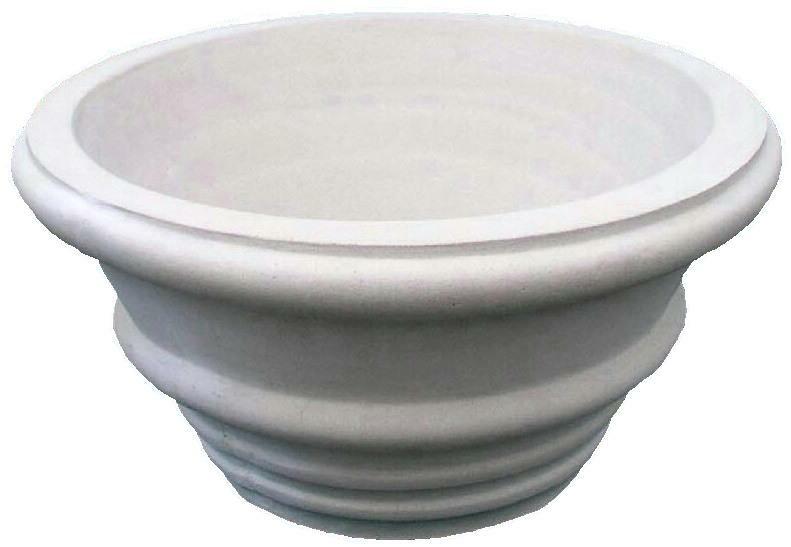 We do, however, produce a range of other items of garden stoneware that fit in with our range of garden planters. Among these are – bird baths, seats / benches, ball finials, pineapple finials, stone lions, piers, plinths, and pedestals, sundials and of course, classic dry-cast stone balustrade. 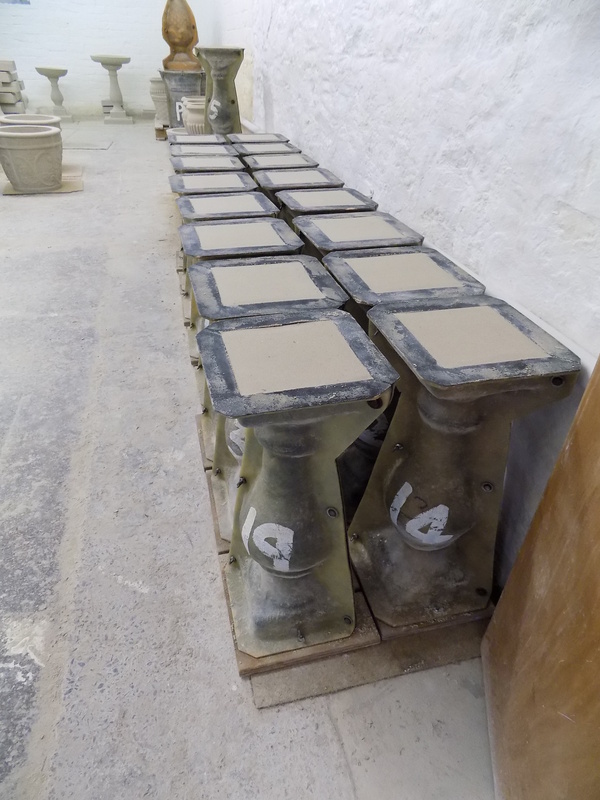 Stone Garden Planters Made in Somerset, the Success Story Continues. 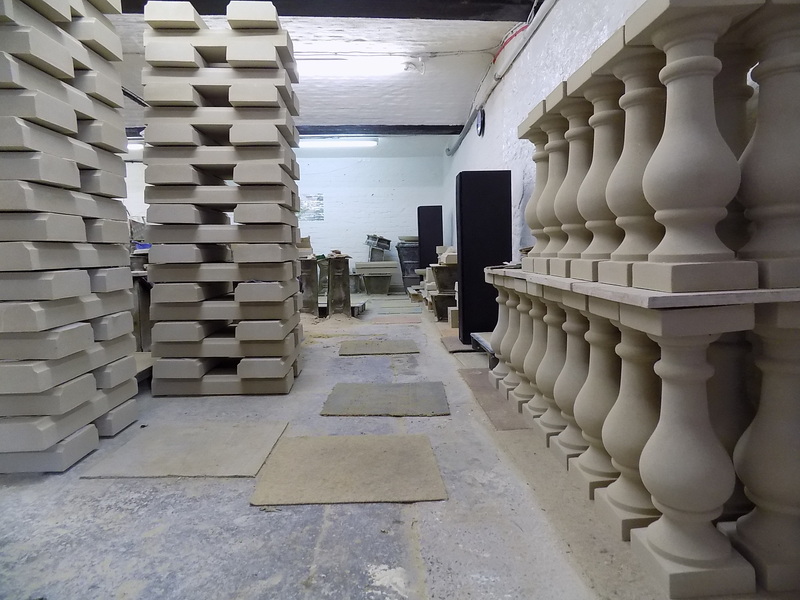 Shepton Classic Stone has been supplying stone garden planters to customers from all over the UK, many from London and the South East of England. No matter what the market does, or the changes in the fashion and style of garden planters are at the time, customers always come back for more of our stone planters. Maybe it’s the variety and style of our planters, or perhaps it is also because our dry-cast stone planters are made to last more than just a few years. Properly made high quality stone planters should last for many years to come, whatever the UK climate throws at them. Poor quality garden planters made from all sorts of different materials come and go. 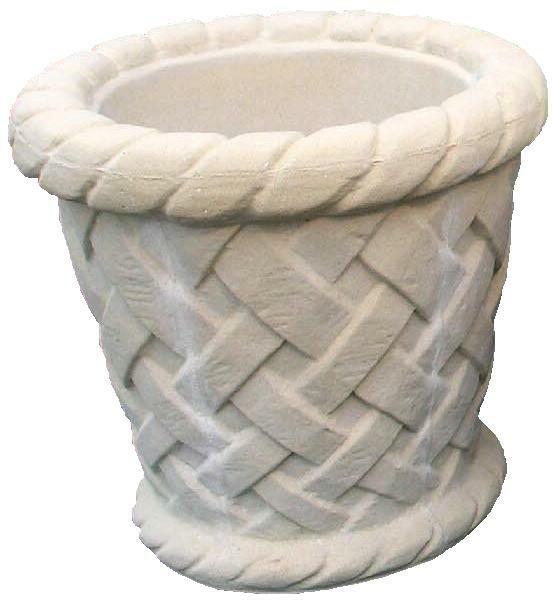 Shepton Classic Stone cast stone garden planters are designed to last, and our many loyal customers in the UK know it, which is why they keep coming back for more, and is also why we have such a lot of new customers from word of mouth. The most popular stone garden planters made at Shepton Classic Stone. Our most popular garden planters are always tub planters. One of the main reasons that tub planters are more popular than other types of stone planter is due to depth of soil. Basically, a tub garden planter will hold more soil than most urn planters or trough planters, which in turn allows for more space for plant roots to grow. This means that a tub planter is more versatile in that it can be used to contain a wider and more varied range of plants, without having to re-pot the plant in question because it no longer has the room to grow. Next on our garden planter popularity list are, trough planters. In some ways this is a similar story to the tub planter, i.e. more soil. In this case though, a stone trough planter allows someone to have a border of plants without the planter sticking out too much, which is why trough planters are often put along the walls of a property when another type of planter would block a path or walkway. 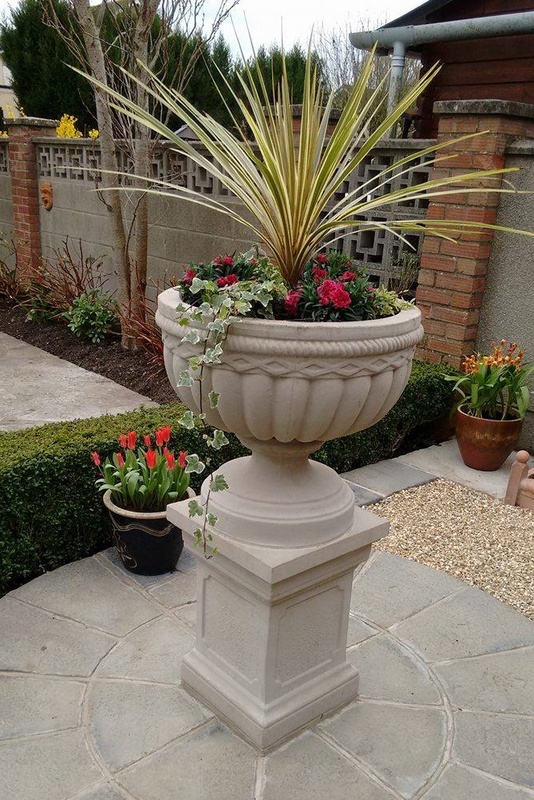 The most popular stone urn planter that we make, is also the biggest urn planter that we make, probably for similar reasons as the popularity of the planters talked about above. Shepton Classic Stone probably has the lowest prices for dry-cast stone, also known as reconstructed stone (or reconstituted stone) for sale in the UK, not just the lowest in Somerset. Is it raining ? No problem, Shepton Classic Stone is indoors. Directions to find us, REMEMBER, when visiting Shepton Classic Stone for the first time, Shepton Classic Stone is OUTSIDE YARD 2 / GATE 2, of the Anglo Trading Estate. On the main road, NOT IN THE YARD ITSELF. 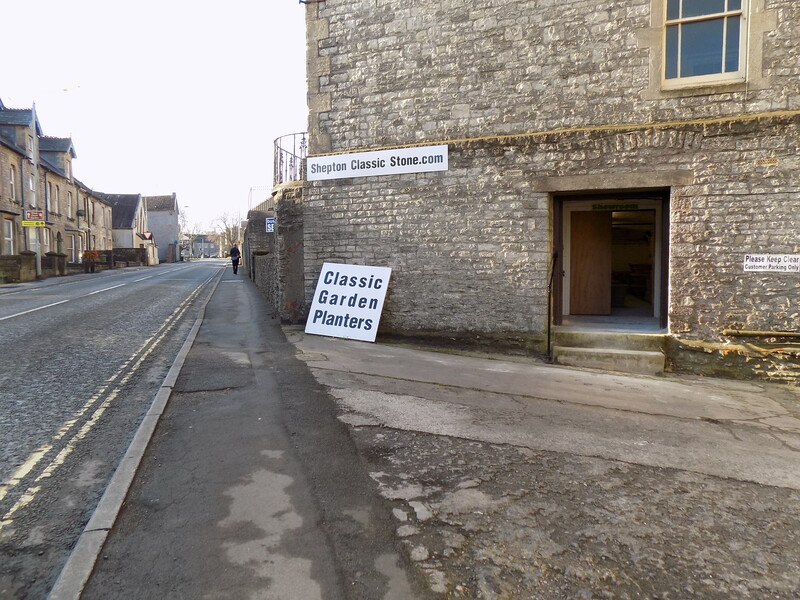 If you have a problem finding Shepton Classic Stone, call : 01749 347774 for directions. OPEN TIMES : 8.00 AM TO 4.00 PM – MONDAY TO SATURDAY. COMPARE OUR PRICES OF (DRY-CAST STONE) GARDEN STONEWARE WITH OTHER PRODUCERS. 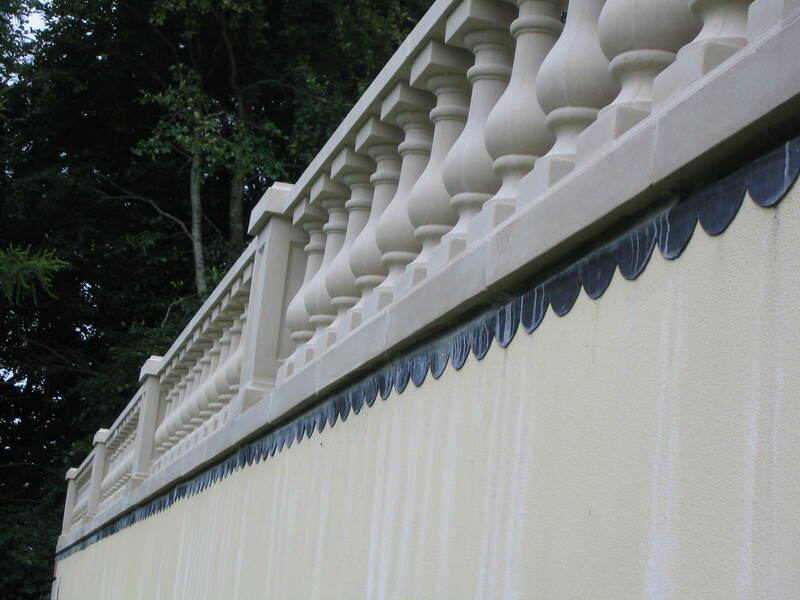 WE PROBABLY HAVE THE LOWEST PRICE FOR HIGH QUALITY, DRY-CAST STONE BALUSTRADE IN SOMERSET, MAYBE THE LOWEST IN THE UK. STONE GARDEN PLANTERS FROM £16.00 EACH, STONE TROUGHS FROM £32.00 EACH, AND, STONE BIRD BATHS FROM £48.00 EACH SEE PRICE LIST FOR DETAILS. Finials are something that have been around for many years, in fact back to before the Greek empire. Originally, they would mainly be seen on very grand entrances, on gateway pillars and large gate posts to the homes or palaces of the richest and highest-ranking citizens in society. Now, stone finials are available in a far wider range of styles and sizes, starting with quite small plain ball finials. 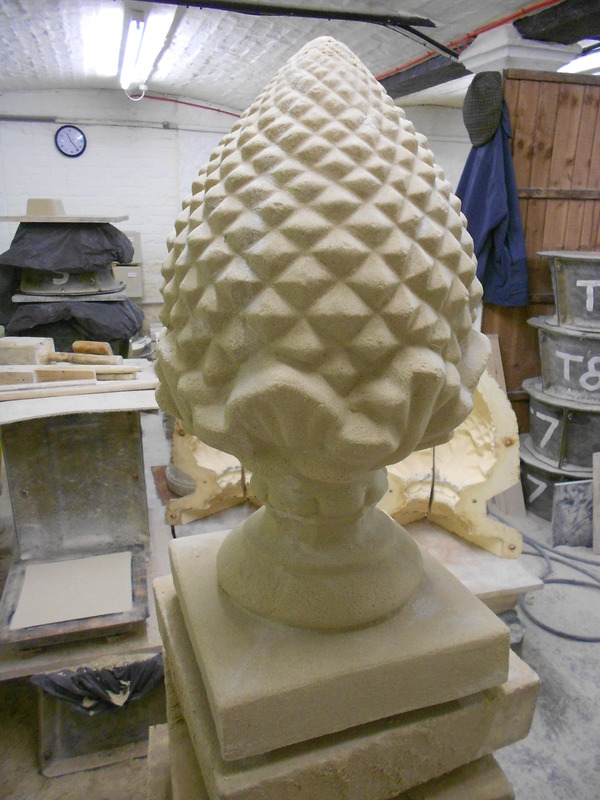 Although the list of stone finials generally starts with all sizes of ball finials, it goes on and on, with different types and sizes, such as – pineapple finials, acorns, lions and many other types of animals, bowls of fruit, all sorts of stone urns and so on. Having said that, I find that the ball finial is still by far the most popular, followed by the pineapple finial. Then we come to stone urns, or vases as they are sometimes called. urns are often considered to be the top-of-the-range in planters when it comes to classic ornamental garden decoration. 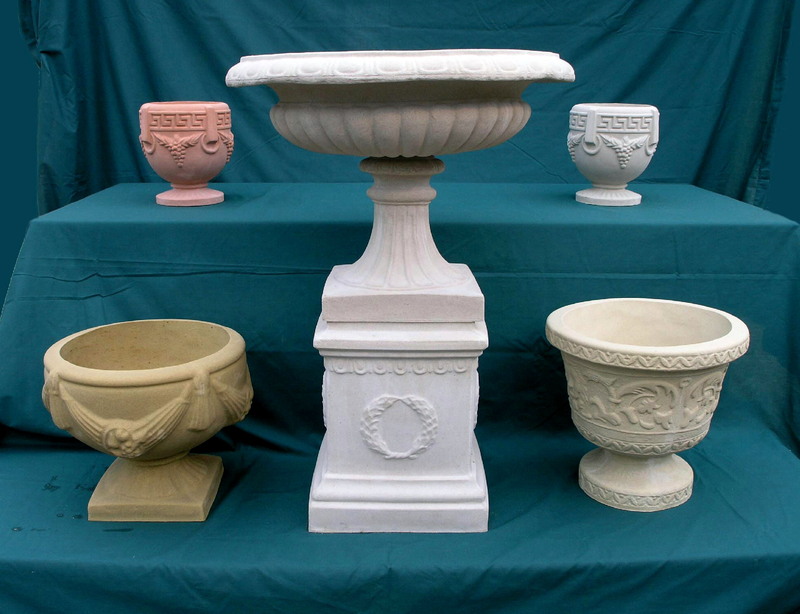 There are two main types of urns; one-piece and two-piece. A one-piece urn is normally the smaller of the two and comes in a wide range of styles. A two-piece urn can be made far larger, because it has a separate neck or base to support the bowl part. This neck can be made to be very substantial and strong enough to withstand a great deal of weight. 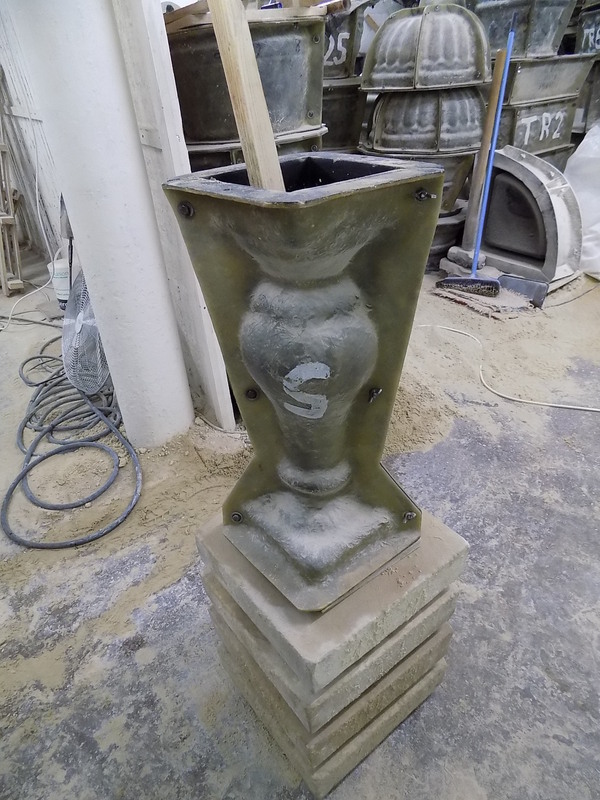 Pedestals and plinths are mainly used as a decorative way of lifting the stone urn up for all to see; to make it into a grand centerpiece, something that makes a statement in a large garden. 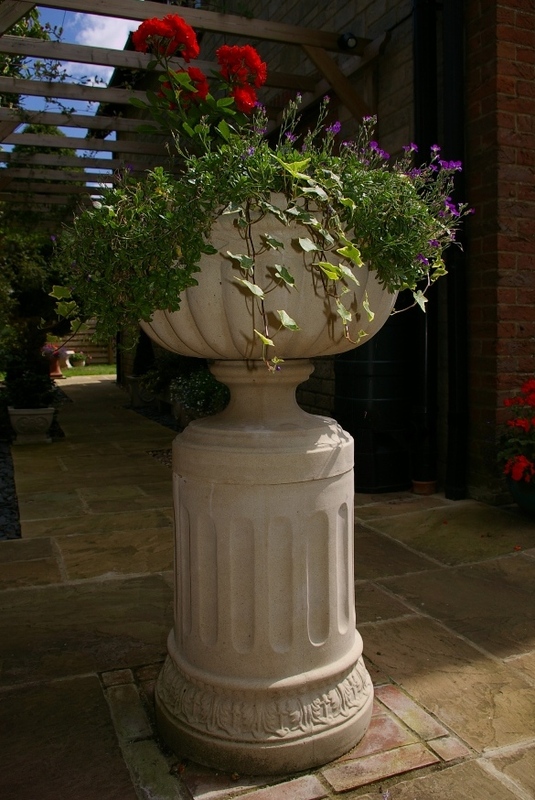 Even a relatively small urn on a plinth, pedestal or pier can make a nice feature in almost any garden or courtyard. 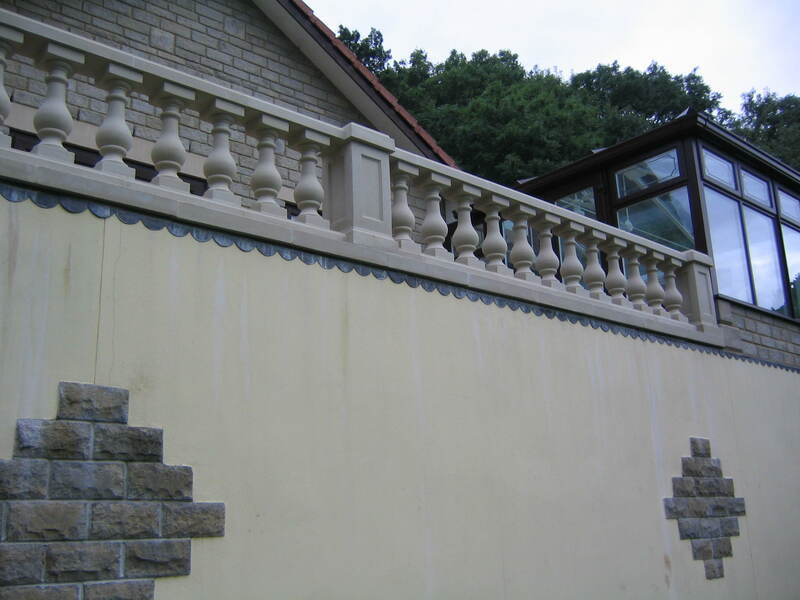 There are also several different terms used for stone balustrade, such as balustrades or stone balustrading. 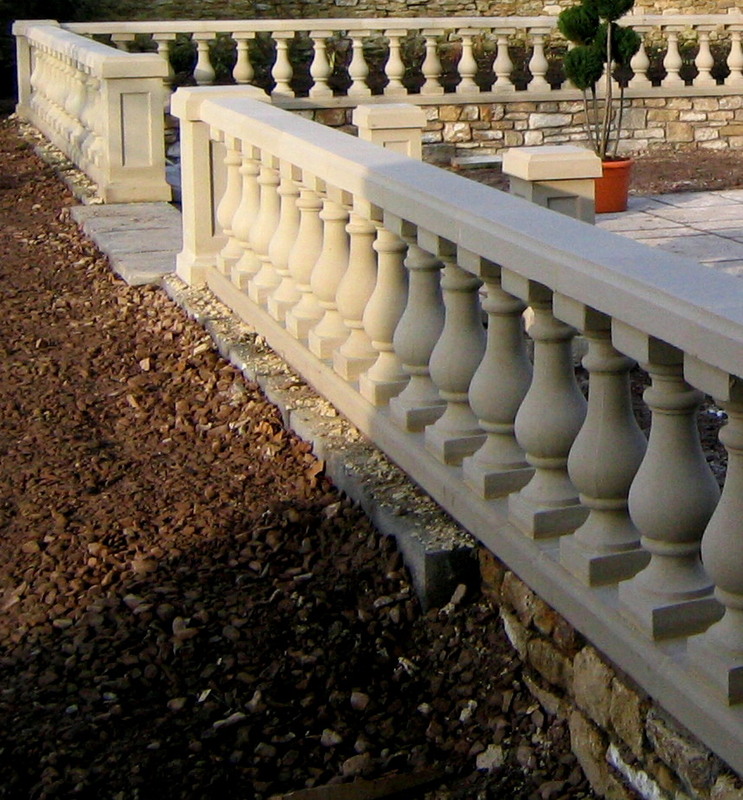 Of course stone balustrade is made up of balustrade piers / plinths, handrails and base-rails and there are endless different styles of balusters. The style of baluster is one of the main things that gives the balustrade its particular look, whether it’s an old classic style baluster, like a Tudor teardrop baluster, or a more modern baluster. This will completely change the look and style of the balustrade. 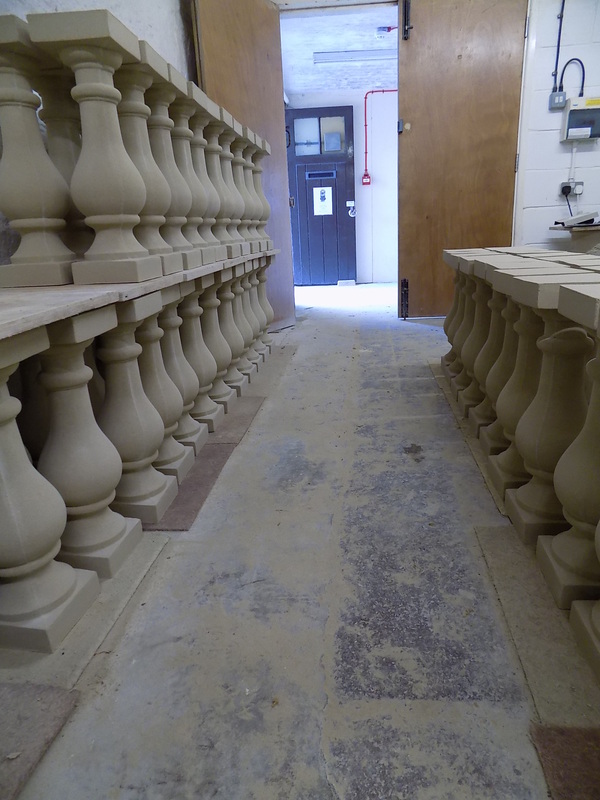 More and more of our stone balustrade these days seems to be ordered by customers who live in London, or the South East, Shepton Classic Stone balustrade has now been delivered to all parts of the UK. 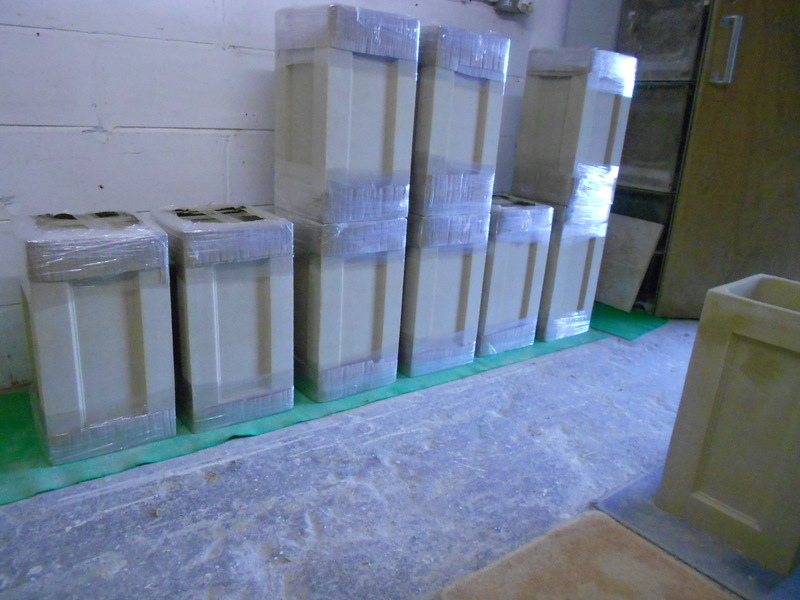 CAST STONE PLANTER FACTORY – VIDEO. Some people think of garden stoneware / stone garden ornaments as patio furniture, outdoor furniture or lawn ornaments. People also use many different terms for planters like, stone garden plant pots, outdoor planters, plant containers or just garden planter. I suppose you could say that all these different terms used to describe dry-cast garden stoneware are all correct. They are just some of the ways to describe much the same thing. 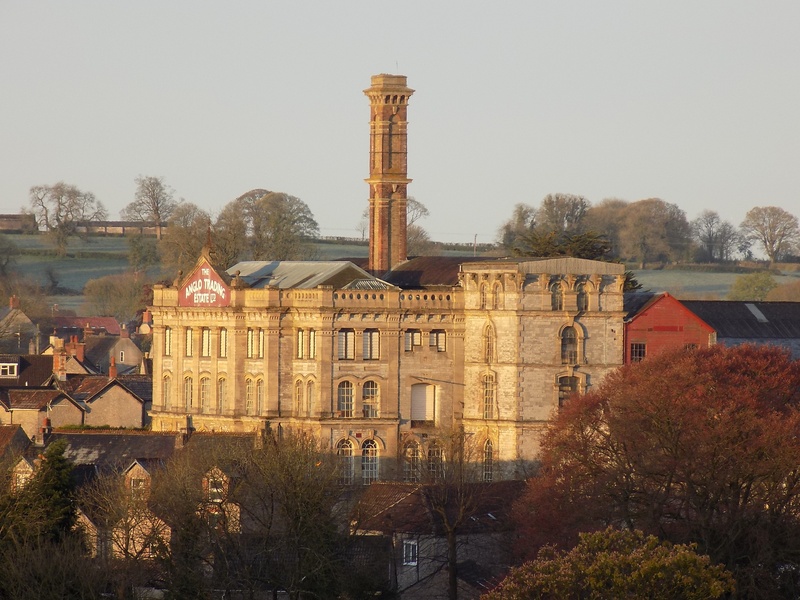 Although Shepton Classic Stone is based in Somerset, South West, we do have customers from all parts of the UK. Including many from – LONDON and the SOUTH EAST. Also many from – The WEST MIDLANDS. What this demonstrates is that, people are prepared to travel to buy a good quality product if it is sold at a good price. Compare Our Prices With Other UK Manufacturers. Classic Cast Stone Balustrade / Balusters. PLEASE CLICK ON THE PRICE LIST PAGE TO SEE MORE PICTURES AND PRICES OF OUR CAST-STONE GARDEN PRODUCTS. 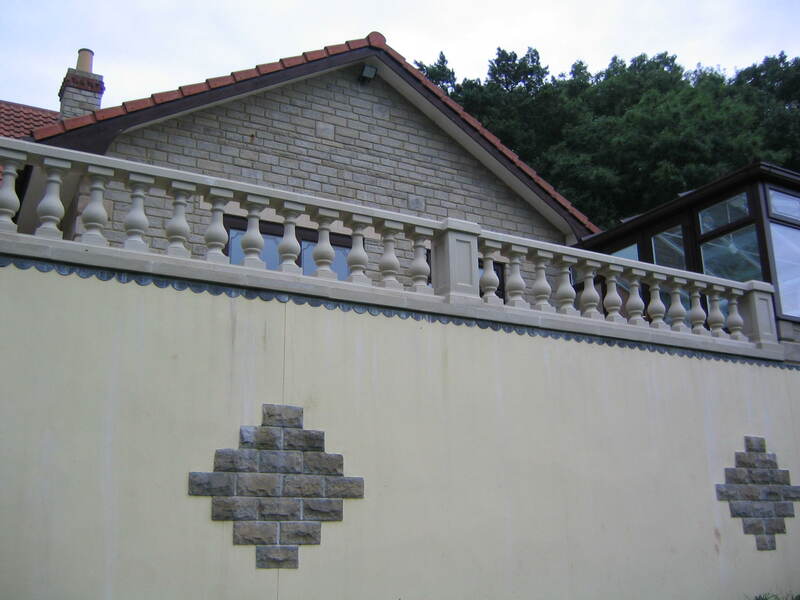 Click on – Balustrade enquiries, for more information. 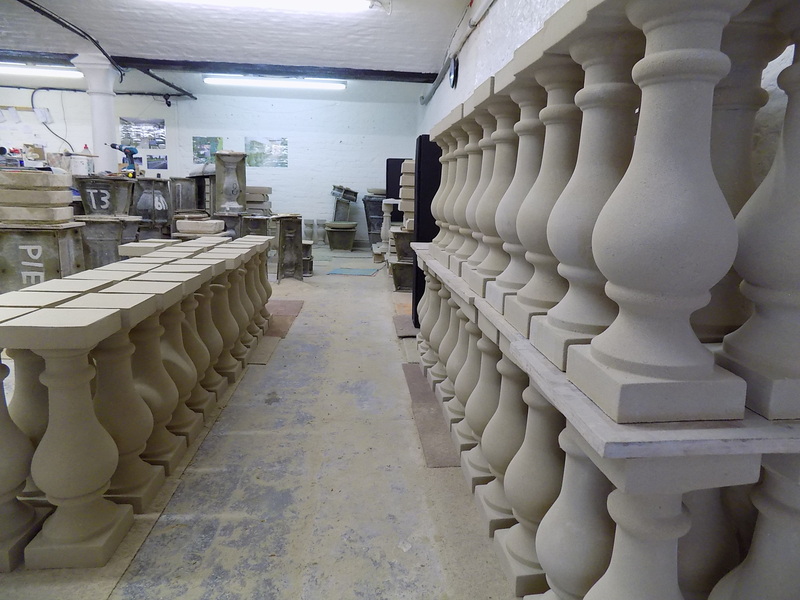 WE ARE HOWEVER, ABLE TO DELIVER CAST STONE BALUSTRADE TO MOST PARTS OF THE UK. Information about collecting cast stone balustrade / balustrading A Ford Transit type van will carry 1500kg, larger orders will need more then one trip. 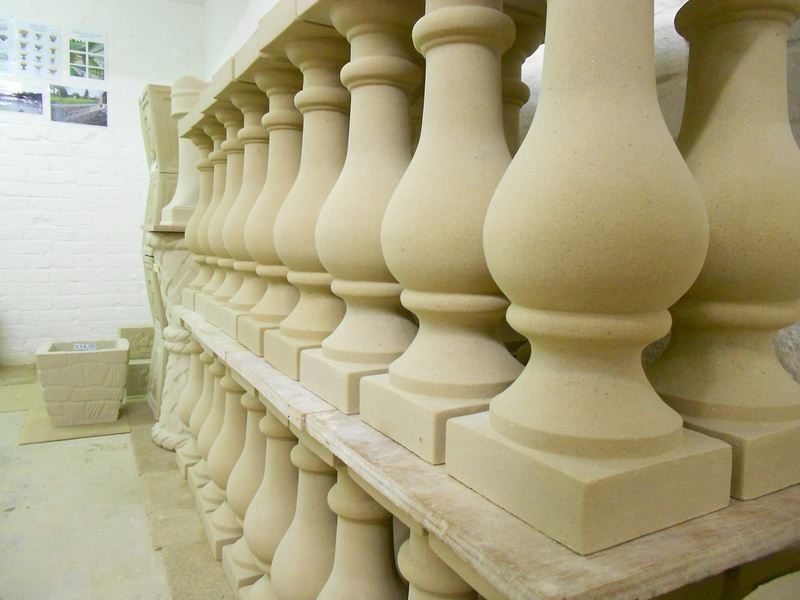 UK BUILDING REGULATIONS FOR CLASSIC CAST STONE BALUSTER SPACING. If the balustrade that you are planning needs to meet current UK building regulations, i.e. the 100mm sphere rule, the balusters will need to be closer than the traditional 12 inch centres and you will need to use spacer rods in order to meet this 100mm gap rule. Classic teardrop balusters will not meet the current UK building regulations without the use of spacer rods. We have found that although the use of spacer rods is unavoidable in order to meet current UK building regulations, if the spacer rods / bars are painted black before they are installed, they are not visible to a casual observer or passer-by. The eye is drawn to the classic teardrop shape of the balusters, and the overall look of the stone balustrade, rather than the black spacer rods / bars. Overall height of balustrade – (27 inches) or (686 mm) (Many customers put the balustrade on a low wall to get the exact height that they need).